In addition to complete designs we offer a full range of yacht design related services including optimizations, alterations and consultation as evidenced by our case studies. We pride ourselves in being a pleasure to work with. Our primary focus has always been, and continues to be, on developing new designs. Read about complete designs with us or explore our design showcase. Of paramount importance to any owner is how precisely the characteristics of his yacht suit his intended use. Certainly the optimum mix of stability, sail area, and appendage details is fundamentally different for a boat that will be cruised shorthanded, than it is for a boat that will be raced with a full crew on the rail. For example, for inshore cruisers, shoal draft is an absolute requirement in some areas. 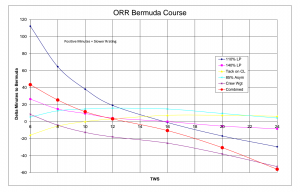 For closed course racers, however, deep draft is usually an advantage, as is carefully tuning various performance parameters to the handicap system used for those races. We have earned our reputation for maximizing the enjoyment that a wide range of owners have gotten from their existing boats via a long list of successful projects. Many times an owner has a general idea of changes he would like to make to his boat, but needs professional help implementing those changes to maximum benefit. Our long experience and expertise can make a vital contribution to the cost/benefit choices that must be made, and the design details that must be decided. Working drawings need to be developed, and a yard with the appropriate skills needs to be selected, and in some cases the work needs to be supervised. We have ‘been there and done that’ with a wide variety of alteration projects, both large and small, and we welcome the opportunity to participate in them. Choosing the sailboat that best suits ones needs is a daunting task for even experienced sailors. Reliable and objective comparison data is typically hard to find, and interpreting it can be even more perplexing. Our professional knowledge and perspective can provide some very reassuring guidance towards making informed and appropriate boat-buying choices. 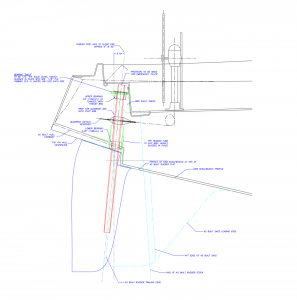 We can provide useful insights as to why one brokerage boat may suit an owner’s objectives better than another, or whether an optional carbon mast might be a good match with a new model’s shoal keel design. We are not affiliated with any sale or brokerage firms, (except in connection with our own designs, of course), so any recommendations we make can be objective and impartial. Learn more about working with us or contact Jim.